The following graph gives you a clear picture of how the Cartel operates. Notice gold’s action on Monday and Tuesday (the blue line and the red line). The sell-off generally starts when the London market opens, around 4 a.m., New York time. Now that the options expiry is over, gold is allowed to rise (the green line). This pattern is repeated over and over but it amounts to nothing more than a few down days, followed by a return to a rising market. As I write about this, at 3 a.m. on Wednesday, gold is currently at $1,420.30. You might think that this is not so special, but it really is because the Cartel is having a very hard time keeping gold below $1,420. They would love to smash it below $1,400 but have failed in every attempt. To me, this does NOT have the look or feel of a market that is in danger of dropping down to $1,200, like Larry Edelson keeps writing about. What will not go down must go up. Apart from taxes due, April could surprise a lot of the bears by logging in a nice gain. Silver’s action tells a similar story. Silver is currently $37.40 and it is forming a base between $37 and $38. 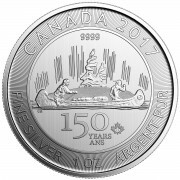 Silver, along with gold, refuses to be pulled down. In spite of the Cartel’s continued attempts to stop the bull market in precious metals, the bull market keeps snorting and kicking and refuses to retreat in any meaningful way. James Turk discussed gold’s action on his GoldMoney website yesterday. He points out that not only is gold’s rate of ascent increasing, but that the dollar’s rate of descent is also accelerating and hyperinflation is not far off. The warning signals will be easy to see. Yesterday afternoon, I went grocery shopping with Susan. While she was busy making a deposit at a US Bank branch, located within the grocery store, I was left to pay for the groceries and I used her credit card. When she came back from making her deposit, she asked me how much the bill was. I told her $155.75. She said, “We can’t get out of here without spending at least $100.” I would have loved to get out of there paying only $100! The cost was up 50%! Mind you, we are only shopping for two people and we are at this store at least a couple of times a week (and eat out a great deal). I told Susan, “It won’t be long before our average bill here will be at least $200 and it will cost you $100 to fill up the tank in your car.” She is used to paying $60 or $70 for a fill. A New York steak at a nice restaurant now costs $30 – $45. How long will it be before the steak costs $50? I remember when I thought that $15 was a lot. So these are my numbers to watch: $200 at the grocery store, $100 at the gas station and $50 for a steak at one of our favorite restaurants. It is coming – in spite of what Bernanke and the BLS have to say. Are you prepared? What do people of a fixed income do these days? You can only cut out so much before there is nothing left to cut. I am fortunate. 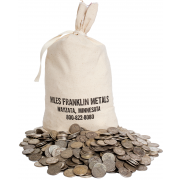 My firm sells products (precious metals) that are indexed to inflation. Everything I buy costs more, but everything I sell is also rising at an equal rate. Most of you will never own a precious metals company, but you can still stay ahead of the rising tide of inflation by owning gold and silver. In fact, you had better do just that. 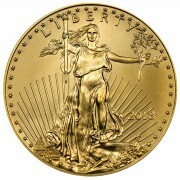 Gold and silver are the best things to own to buffer the increased costs that are bearing down upon you. The two things I mention, food and gas, are not part of the CPI. The government says “they are too volatile.” They may be too volatile, but they are the two things that I spend the most money on every week. This distinction is important because the gold price in recent years has been rising at a hyperbolic rate, which is illustrated in the following chart. The above chart has been prepared on a log scale so that, for example, the distance between $250 and $500 is equal to the distance between $750 and $1500. A chart prepared with an arithmetic scale does not accurately portray percent changes, while a log scale chart illustrates percentage changes perfectly, which is important. After all, if an asset you own doubles in price, it is this percentage gain that shows the relative increase in your wealth. In other words, if your asset doubles in price from $2 to $4, it is the same percentage gain as a double from $10 to $20, though obviously the absolute amounts may be different depending on the quantity of each asset you own. From 2000 to about 2006, the gold price was confined within a linear uptrend channel, marked by the green parallel lines on the above chart. Thereafter, gold’s pattern changed to what looks like a parabola, but is actually a hyperbola because the above chart is prepared on a log scale. This observation means that the gold price is rising at an accelerating rate, so there is in my view only one logical conclusion that can be made from this chart. Given that gold remains the world’s numéraire by which things are measured because it is money, the other so-called ‘money’ being measured in the above chart – namely, the U.S. dollar – is losing purchasing power at an accelerating rate. In other words, we are rapidly approaching the hyperinflation of the U.S. dollar. In fact, the above chart illustrates that it has already begun. The dollar’s hyperinflation will worsen if gold keeps climbing within the hyperbola on the above chart. As if that were not scary enough, look at the following charts illustrating the rise in the price of gold against the British pound, euro and even the supposedly safe currency alternative, the Swiss franc. 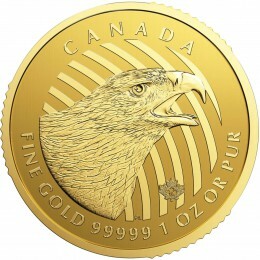 Gold is rising at a hyperbolic rate against all of them, suggesting that as the dollar moves along this present path to hyperinflation, these other currencies will hyper-inflate along with it, which is logical given that (1) these currencies are backed by the world’s reserve currency, i.e., the dollar, and (2) the central banks managing these currencies are ‘printing’ just like the Federal Reserve. Given that the above charts show only weekly prices, and do so over many years, we cannot conclude that the final hyperinflationary blow-off will begin tomorrow, this week or next month. But we can conclude from the hyperbolic rise in the gold price that these currencies are on the path toward hyperinflation. The never-ending debt issuance by the U.S. government that is accommodated by the Federal Reserve’s policy of ongoing “quantitative easing” means that the dollar is being destroyed. Its purchasing power is being eroded because the Fed is turning too much of this debt into dollar currency, which is causing people to accumulate gold as a safe-haven alternative. Significantly, the above charts show that the U.S. dollar’s plight is not unique. Other national currencies are also being destroyed as their purchasing power erodes because of harmful central bank actions, and as one would naturally expect, the gold price is responding by rising against all of them. And gold’s hyperbolic trajectory suggests that the hyperinflation of the dollar and these other currencies is imminent. The above charts paint a very bullish picture for the gold price. It appears that the price is about to lift off from the base it has been forming over the past several months, which has consolidated the huge gains made by gold since the collapse of Lehman Brothers in September 2008. In other words, get ready for a moon-shot in the gold price and hyperinflation.